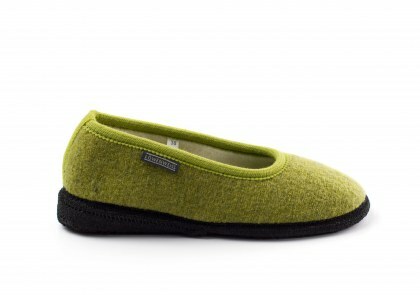 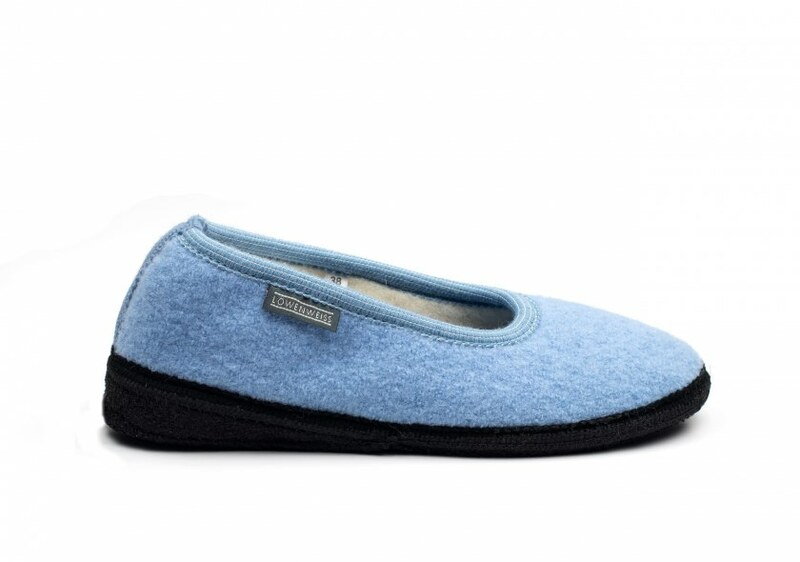 Pure wool ballet slippers with a handmade felt and natural latex sole and 2-cm wedge. Simple boiled wool ballet slippers with natural latex. 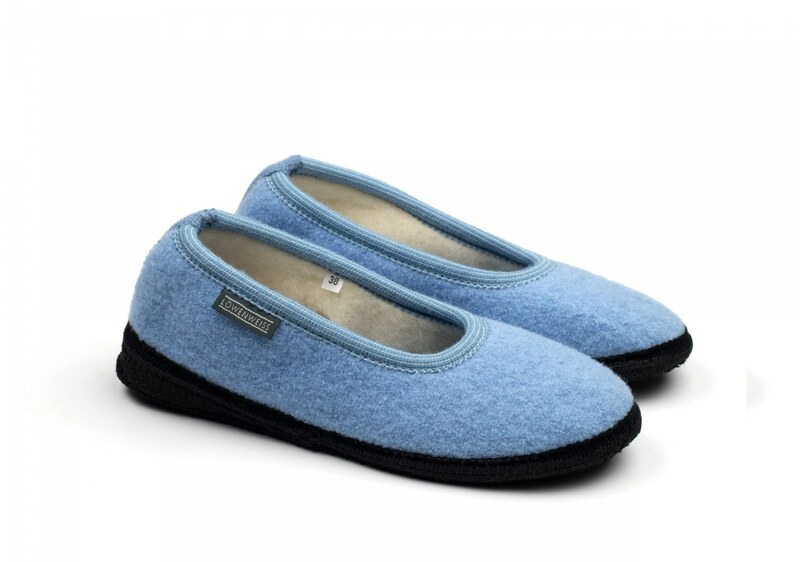 You can be elegant at home too with Löwenweiss footwear that is perfectly warm and breathable. 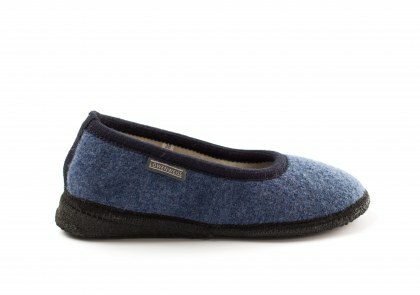 Perfect for daily wear, these traditional Tyrolean slippers are comfortable, hard-wearing and always current. 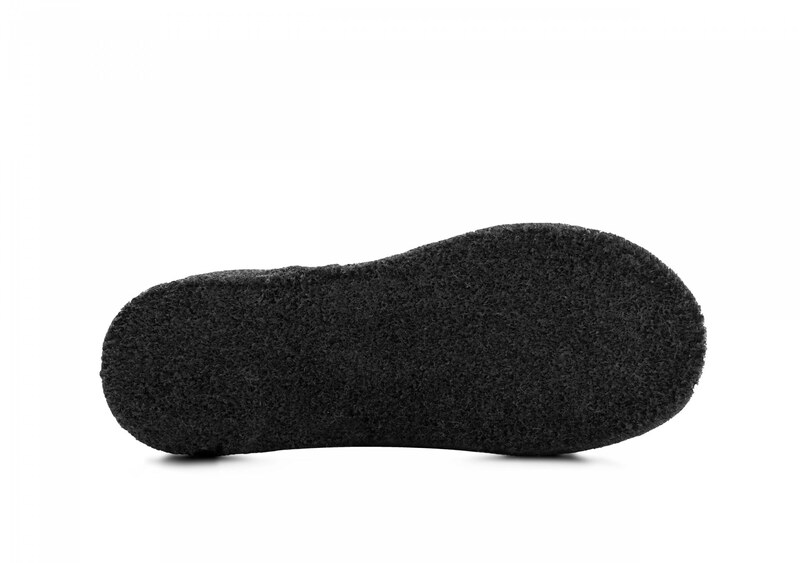 These slippers have been constructed with a wedge that raises the whole body.